Jungle Red Writers: Books Riddled with Disease. A guest post by Susan Meissner. Books Riddled with Disease. A guest post by Susan Meissner. I think the flu is on everyone's mind these days. I don't remember a flu season when I was more concerned that my nearest and dearest stayed healthy. One of my friends recently died of complications from influenza so I am well aware how deadly it can be. But not nearly as deadly as the great epidemic of 1918. The ironic coincidence is that I'm also bringing this topic into the WWI book that I am currently writing so it was very much on my mind when I was sent this book by Susan Meissner to blurb. What a stunning, harrowing novel, giving a vivid picture of what the flu epidemic meant in the United States--something I didn't even realize until now. So I'm happy to host Susan today, the week of the publication of As Bright as Heaven. 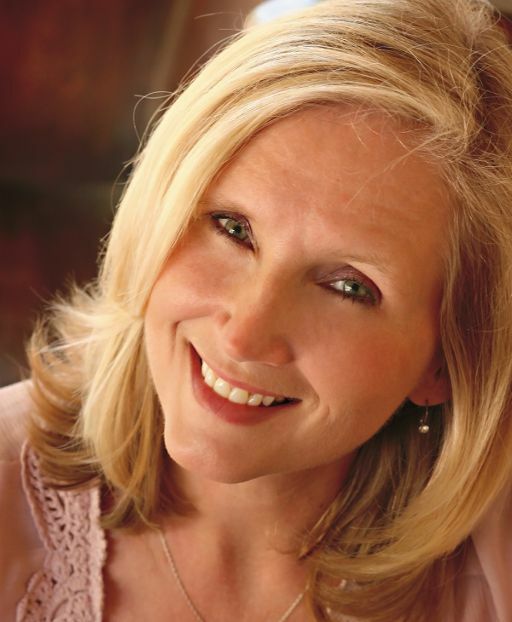 SUSAN MEISSNER: When I decided to write a novel set during the 1918 Spanish flu pandemic, I figured I would learn a thing or two about what it is like to struggle in a time of war when the enemy is a tiny virus you can’t even see. I figured I would likewise learn quite a bit about the disease we call influenza and how it can morph into a relentless killer. What came as a surprise was coming to a deeper appreciation for the gift that is life and the odd truth that it is death itself – the fact that we’re mortal – that makes life so precious. If our days were not numbered, it would not matter how we spent them nor would we value life like we do. Writing about a killing disease gave me a greater sense of gratitude for being able to wake up every day surrounded by the people I love and who love me. Fifty million people died from Spanish Flu; it’s arguably the deadliest disease ever recorded, with the Black Death of medieval times perhaps being the lone competitor for that terrible title. There’s a whole lot of humanity wrapped up in a number that large. And that’s what makes this historical event far more than just a historical event. 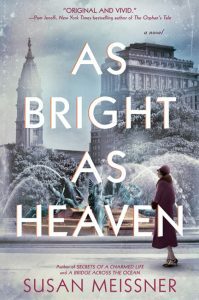 I set my novel, As Bright As Heaven in Philadelphia, one of the hardest hit American cities during the 1918 pandemic. The husband and father of the Bright family is a newly hired undertaker. He’s a good and gentle man, but he can’t protect his family from the killing flu that falls over Philly like a dark cloud. His wife and their three daughters – ages 15, 13, and 7 – narrate the book in alternating chapters. Even though they all live in the same house, by virtue of their ages and temperaments, we see four perspectives of what it was like to witness and experience the deadliest pandemic ever. Year of Wonders by Geraldine Brooks. Brooks is one of my most favorite authors; I will read any book she writes. I’ve read this one three times even though I have loads of other books scattered all over the house still waiting to be read the first time. This novel was inspired by the true story of the small village of Eyam in England, during a year of plague in 1666. Although where the plague came from is still a mystery, the townspeople’s decision to quarantine themselves to stop the spread of the disease vaulted them into the annals of history. Brooks imagined what it might have been like to live within what became known as the Plague Village, in that tiny cosmos where the best and worst of human nature showed itself. Moloka’I by Alan Brennert. If you know anything about the island of Moloka’i you know it was the turn-of-the-century Hawaiian colony for those diagnosed with the nightmare disease known as leprosy. In this story, Rachel is just a child when a sore that won't heal rips her away from her family and deposits her on an island of exiles few ever leave. Her story isn't a tale about disease, but rather the resiliency of the human spirit. And it is a compelling tale, to say the least. Unforgettable. The Stand by Stephen King. It’s been a long time since I’ve read this book – two decades at least – but it remains my favorite of the King books I’ve been brave enough to read. This post-apocalyptic tome is a peek into what we could become when the world is stripped of nearly all its people because of a killing flu and with it, the rules and order that keep us from degrading into brutes bent only on survival. This one is not about monsters and the macabre, although horrific things happen; it’s first and foremost a book about people. The characters are richly drawn and that’s what drives this book, not scare tactics. Life After Life by Kate Atkinson. This one probably won’t show up anyone else’s list of books set against a backdrop of disease, but I list it because there’s a section on the Spanish Flu pandemic that is particularly memorable because of how pervasive this flu was – hence my own take on it – and how inescapable it was. The rest of the book is masterful, too. It’s been called “darkly comic, startlingly poignant, and utterly original.” It won’t be like any other book you’ve ever read, I can pretty much assure you of that. It’s about a girl/woman named Ursula Todd who keeps getting a do-over. Again and again and again. Life after life after life. I’ve read it three times. So there you have it. Four amazing books riddled with disease, five if you count mine. Would love to hear what your favorites are. RHYS: Susan will be offering a signed copy to one lucky commenter today! Stay well and safe everyone. Wash your hands a lot. I'm going to be wearing a mask on my next plane flight! Congratulations, Susan, on the new book . . . a frightening pandemic and the resiliency of the human spirit --- I’m definitely looking forward to reading “As Bright As Heaven” . . . .
Michael Crichton’s “The Andromeda Strain” and Dan Brown’s “Inferno” are two of my favorites. Thomas Mullen’s “The Last Town on Earth” looks at the 1918 plague from the Pacific Northwest . . . . Thanks, Joan! I've watched Andromeda Strain the movie, but need to read the book! Thanks for the other recs. Especially Mullen's. Susan, this post has me champing at the bit to get your book. I have been a fan of Geraldine Brooks since Year of Wonders came out, and it is still one of my favorite books. I have a deep and probably disturbing (hahaha) interest in the plague, both the 1300s and the 1600s ones. Connie Willis' book entitled Doomsday Book takes time traveling historians back to the 14th century plague in England, and this book is a favorite of mine, too. Have you read it? Molokai by Alan Brennert is another favorite, and I consider anyone who has read it an amazing person. Because of this book, I visited the actual island of Molokai two years ago, and it was everything I dreamed it would be. There's a little bookshop there, the only commercial place on the Kalaupapa or the leper colony side of the island, and I bought a copy of Molokai there just so I could own a copy bought there. And, Life After Life is another of my favorite books, with its different format that intrigued me so. Three of my all-time favorite books are mentioned in your post, books that are on the treasures level for me. Now, I suppose I need to read The Stand. Not sure why I haven't. But, I do seem to have an affinity for the epic diseases of history, not that the flu is in the past yet. Can you tell that your post has me just a wee bit excited. I can't wait to read As Bright as Heaven. 50 million people! I just learned recently that this epidemic started in Kansas, at Camp Funsten, Ft. Riley. It was a training site for WWI American soldiers. That fact interested me because my husband currently lives in Kansas, for work, and he spent time at Ft. Riley when he trained during his ROTC obligation. He also was stationed at Ft. Leavenworth, which is where he now works for a military contractor. Anyway, I just ordered a book for my Kindle on the Spanish Flu Epidemic in America, too. I'm fascinated that it was so widespread. I've read that it even reached the Arctic and isolated tropical islands. Oh, Karen Maitland's Company of Liars is another favorite of mine and takes place during the 14th century plague in England. A favorite non-fiction book about the plague is Norman Cantor's In the Wake of the Plague. The Last Town on Earth by Thomas Mullen is a fictional and powerful book about the 1918 flu epidemic. I have a couple of non-fiction books on the back burner about leprosy (can't think of the titles). Of course, there are some booklets I picked up during my Hawaii visit on Father Damien of Molokai and the selfless work he did there. I was in his church and in the graveyard where he's buried, a beautiful setting. In the church, there are holes in the flooring where the pews are. These holes were for the victims of leprosy to spit in. OK, I need to go to bed so I can read a short bit now. And, Rhys, you have me really looking forward to the book you're writing, too! I already have a copy of your book, Susan, and am so looking forward to reading it. Love the fact that you've given us other suggestions. I've read Year of Wonders and had a great discussion of that one with a book group. The Stand is one of my favorite books of all time. Read it first when I was in college and just loved the whole set-up - good vs. evil - our choices make us what we are, etc., etc. I own Moloka'i and also Life After Life and will try to read them soon. Appreciate the other suggestions of books given. And I'll read anything that Geraldine Brooks writes too. Yes, it's a chillingly ironic that this year's flu on the centennial of Spanish Flu is so bad. Sneeze and cough into your elbow, folks! And get your flu shot. This year's strain is a bit different than the vaccine creators were expecting but it apparently can lessen the severity of your symptoms. Thanks, Lucy! Start with Molokai, then! It's not scary. Just beautifully written! Lucy, some people plan their travels on their hobbies, and I just did the same. Hahaha! Molokai truly is an amazing place, and the pilot of our little eight-seater told us that the cliffs of the island are the highest in the world. That was pretty surprising to me. The area around Father Damien's church, the original site of the leprosy colony on the island, is ironically one of the most, if not the most, gorgeous places I've ever been. I agree with Susan, that Molokai would be a great place to start in reading the books she's listed. It is a beautifully written story indeed. I had a dear friend who is credited with being one of the first physicians to recognize HIV/AIDES., Dr. Linda Laubenstein She died too young (polio relapse) and in her estate was a much marked-up paperback copy of Camus's THE PLAGUE. It's about politicians, epidemics, and inconvenient truths. I've been thinking about it with this year's flu epidemic... as I write, 1 in 10 American deaths are flu-related, and that ratio is climbing. An article in today's NYTimes says 56,000 MORE Americans are expected to die this season from flu. And do we have leadership on public health? Two weeks ago the CDC director resigned over conflict of interest (she couldn't seem to divest of her investments in tobacco stocks)... she replaced the first pick for the job who resigned for chartering private jets for personal travel. Susan, does your book get into how politician's self interest and public policy intersects with the very personal losses that epidemics cause? Hallie, I have been thinking the same thing. I find it absolutely terrifying that we have no one competent in charge of the CDC. On the lighter side, I loved DAY OF THE TRIFFIDS. I am haunted by The Stand , truly, and get PTSD flashes every time a person around me sneezes. That book is so profound. And it’s interesting, too, how fragile we are, and how vulnerable to such a tiny thing. And though we do whatever we can, we can never be sure it’s enough—it’s just one day at a time. Susan, it’s so touching that you came away with a renewed appreciation for life. That’s wonderful. Yikes. I was hoping it didn't let germs in as well as out! I do carry hand sanitizer in my car now. But on a plane you're a sitting duck. Rhys, hand washing with soap and water are far more effective than hand sanitizer. Don't touch doorknobs in washrooms with your bare hands, or door handles, anywhere. Use a paper towel to dry your hands, and then use it to open the door to exit. If you have to, carry the towel elsewhere to dispose of. More and more, though, public washrooms have waste cans next to the door. One of the best inventions for keeping control of disease is the automatic door. I carry hand sanitizer and those Clorax wipes in my purse, Rhys. My daughters raised their eyebrows, but I wiped down every surface around our seats on the flights to and from Hawai'i. I'd rather look a tad eccentric than come down with the flu. Masks do help. This is why doctors and nurses wear them in operating rooms and in isolation rooms. But washing hands with soap and water and avoiding crowds is the best preventative. When I was shopping for trial sizes of stuff for my book tour (I fly carry on so everything has to be little) I had to buy Spiderman hand wipes because the 2 Clorox wipes bin in the trial size aisle was EMPTY! Thanks for all the great reading suggestions this morning! I'll be looking out for your book, Susan, and Kathy, I envy your trip to Molokai--what an amazing experience that must have been! It's hard to grasp the scale of pandemics--the numbers are overwhelming, so that one tends to lose sight of the human cost in suffering. When I was first doing genealogy research on my family, I noticed an odd pattern of deaths around the year 1918. When these were young men, I would check to see if they had been in the armed services, but then it hit me--the other deaths--of all ages--and sometimes several within the same family--how many had been due to the Spanish flu? And today, now--I've been paying attention to the odd age-range of those dying of the flu--young, healthy children and adults--it is frightening, Hallie--considering the current state of this country. My youngest nephew (19 and healthy, energetic--came down with the flu not long ago--it was hard not to let him see how terrified I was. Even now, weeks later, if he coughs, my heart gives a lurch. Rhys--please wear your mask! Thanks, Flora. I think for the world back then, when the war and the flu finally lifted everyone had fatigue of the soul and they chose to recover from it all by forgetting. We though can remember it. And I think we should. Fifty million people deserve it, I think. Rhys, you know how much I love Blackout and All Clear. So I must absolutely read The Doomsday Book. Rhys, I mentioned The Doomsday Book in my comments above, and it is absolutely one of my favorite pandemic books and books period. Oh, Debs, yes, please do read The Doomsday Book. I just know you'll love it as much as Blackout and All Clear. Also, Debs, have you read To Say Nothing of the Dog in Willis' time traveling historian series. It's a short book and has a light tone to it, so witty, not dark like these other three. Susan, you've certainly taken on a big subject. Looking forward to reading your new book. Trying to make sense of the scope of the Spanish Flu, fifty million people in 1918 would have been nearly 3% of the world population at the time. If that kind of epidemic were to happen today, that same percentage would be well over 250 million. A quarter of a billion. Yikes. Has anyone read Gail Tsukiyama's poignant novel The Samurai's Garden? It has a secret at its heart that relates to today's topic. And it's a lovely story. Yes,I loved that book! Gail is such a gifted writer. And you're right. That statistic today would be unfathomable. Yes, as others have said, The Doomsday Book and Life after Life both come to mind with this topic. The flu episode in Life after Life probably sticks with me more than any other part of the book. As you said, darkly comic. Practice makes perfect. Keep your hands away from your face and out of your eyes. Droplet borne viruses usually get in thru the mucus membranes of the nose and eyes as well as the mouth. A infected person is contagious from six feet away. Here in Western NY,Monroe County, not the highest populated part of the state, we've had nine deaths so far. It's a good idea to avoid crowds when practical. Rhys, the mask can help but it won't keep out everything. You are better off keeping your distance from anyone who is coughing or sneezing, not always possible, And Karen is right about handwashing. Don't depend on Purell! Doctor's waiting rooms are petri dishes, so be extra careful if you must go there. Our primary asks us to call in with symptoms, does a lot of over the phone diagnosing and prescribing if possible in order to keep people away from the rest of the patients. The trouble with flying is that the air filtration systems don't work very well and you keep breathing the same stuff over and over again, not much to be done about that except don't fly if you are ill.
Congratulations on your book, Susan. I'd like to read it. I've read the others yur have listed, have always been fascinated with disease. Years ago, when I was a nurse on the Navajo Reservation in Northern Arizona, we had the pleasure of having the first plague victim in the country that year. Did you know prairie dogs are vectors? The woman had caught and killed one and became infected. Those of us caring for her had to have an antibiotic cocktail to prevent catching it, pneumonic plague. There is monthly "plague monitoring" in the Grand Canyon. It is always around somewhere in our rodent population. Ann, I caught the H1N1 virus of '09-'10, aka the Swine Flu. It made me realize all those other times I blithely said, "Ugh, I've got the flu" it was simply a bad cold. The actual flu put me in bed for two weeks and gave me pneumonia. I was weak and shaky for a month afterwards, and I didn't fully recover for months. As a result, I get my shot every year, wash my hands fanatically, carry sanitizer and wipes and - my own personal strategy - wear long pashminas or cardigans so I never have to touch doorknobs, etc. with my bare hands. I always wipe down the handle of the grocery cart and other objects I have to interact with. Good for the people who get their yearly flu shots. I get disgusted when I hear things like "it doesn't do any good" or "it gives you the flu." Both statements are false. It doesn't give complete protection because the virus mutates so fast, but it does provide partial protection, mitigates the disease. And you don't get the flu from the dead virus. Period. When I was working, I spent every winter entertaining a variety of respiratory illnesses. I've had maybe two bad colds since I retired. There's an advantage to being an anchorite. Thank you, Ann, for your congrats and your wise words here about how to be careful in flu season! Susan, AS BRIGHT AS HEAVEN sounds fantastic. I wonder why there haven't been more novels set in that year - talk about a dramatic time in America! I have a personal connection to the Spanish Flu, of a sorts - my late editor, Ruth Cavin, was born in 1918, and as an infant was sent away from Pittsburgh to a farm upstate to protect her from the epidemic. Evidently, it worked, as she lived to the ripe old age of 92. Wow, Julia. Thanks for sharing that! Not only does your book sound like something I would enjoy reading, but you've recommended others that sound good, too. Both of my parents were born in the early 1920s, so they missed the 1918 epidemic but it was frightening for my grandparents who had to worry about themselves and my aunts and uncles who were small children at the time. On my dad's side of the family, one of my grandparents had a cousin whose family was wiped out by the epidemic. My dad knew it only as part of family history. When I was around thirty years old, my mom and one of my sisters and I went to the cemetery on Memorial Day. After leaving my dad's grave we took a walk over to one of the older parts of the cemetery. There we found the graves of Dad's relatives who died in 1918. It was unsettling for me to see their graves: a young couple who died from the flu, along with their infant triplets. Until I saw their graves, they had not seemed like real people to me. Wow. that is so insightul about our need to see graves. This is why the 1918 flu in Philadelphia where I set the book was so devastating. There were so many bodies, and the outbreak so bad, funerals were not allowed and many were buried in mass graves. There is a moral rending to the human heart when you can't say goodbye to people or can't revisit the echo of their one life - the grave. I've been hearing such good things about your book. Definitely on my must read list. I watched a documentary years ago on PBS about the Spanish flu epidemic. Unbelievable. It's interesting how the disease changed and weakened as it moved west across the U.S. Many years ago I read a book (possibly one of Mom's Readers' Digest Condensed) about a woman who got leprosy. She had to bid her family farewell and moved to Carville, LA where there was a leper hospital. It was a very poignant true story. She married a fellow patient. I do not remember what happened; I was probably in my teens when I read it. On a lighter note I read The Andromeda Strain and totally loved it. I kept trying to figure out why a baby and a drunk were immune based on the info the team kept coming up with. To this day if I am ill with a bug that changes symptoms daily I let people know that it's the Andromeda Strain. Does anyone follow the TV pandemic of the Walking Dead? No one is trying to find a cause or cure anymore. It is strictly survival mode. Pat, I read that book when I was in seventh or eighth grade. I can't remember if it was my grandmother's (it's the sort of thing she enjoyed, having been confined to a TB hospital a few years before I was born) or if I got it from my classroom library. I was so impressed by that book that I even remember what I ate for snacks while I was reading it. Meaning I read the book about the woman with leprosy. I have still not read The Andromeda Strain. I am a Walking Dead watcher. I am drawn to the characters' desperate quest to retain their humanity because you're right, all hope for a cure is gone. What they've got now is a dangerous world where the worst enemy is not the Walkers but other humans whose survival mode has turned them into brutes. They are the true monsters; humans who have lost their humanity. Susan, your book sounds fascinating. I know quite a bit about the Spanish flu epidemic in Europe and England but not so much about the US. Fifty million people!!! My son-in-law and two-year-old granddaughter are recovering from Flu A (and they had their shots) and I can't imagine what it must have been like to have the virus tear through whole families. I have Life After Life on my to-read shelves but haven't read any of the others you've suggested. That I must remedy, but yours first! Sounds like a must read fascinating story Susan! My parents were born in 1904 and 1908 on opposite sides of the country and I don't ever remember hearing anything or asking questions about their first hand experiences in their families dealing with the flu. What a lovely opening to your entry, Susan! It's good to be reminded that it's the finite quality of life that makes it special. I can't even fathom a death toll of 50m. I always get a flu shot and urge my loved ones to do the same. There are plenty of things that can kill you that you can't avoid; why not exclude those you can? What a fascinating story and as Ingrid said, what a lovely opening to your post. 50 million people - that is unimaginable. The first thought that came to mind, what a sad time to live. The carnage of the flu, and the carnage of WWI. No wonder the human stories from that period of history are so compelling. My father was born in 1917 and I have vague memories of my grandmother talking about how she protected her newborn - mustard and garlic figured prominently. Looking forward to reading As Bright As Heaven. Rhys, good advice about wearing the mask on your next flight! We have to do whatever we can! All of these books sound fascinating. I remember reading The Stand while I was on a 24 hour train trip to Florida in February. All around me it seemed people were coughing and sneezing. What a soundtrack for that book! Wow! That surely made it a little too real! This is the first year I've ever gotten a flu shot. We were all hit with the flu in 2005. I remember calling out of my part-time job, saying, "I"m not coming in today, tomorrow, or for the rest of the week." Ugh, I've never felt so lousy. So when it sounded like this flu was going to be bad, I muscled all of my people into getting shots. I wouldn't normally read about a disease but your book sounds fascinating, Susan, so i am adding it to my list! As Bright as Heaven is now on my to-be-read list. I was just a teenager when The Andromeda Strain was first published, but I remember reading it cover to cover almost in one sitting. My favorite book of any genre is The Physician by Noah Gordon. Many of his books are about medicine and sickness. Thanks, David. And thanks for the book rec! Apparently my first comment has disappeared. My parents were born in 1904 and 1908 respectively, at opposite sides of the Country. Oddly enough I don't ever remember any discussion about the flu epidemic relative to their families growing up. Susan, your book sounds like a must read! I'm loving this conversation about germs and potential exposure to viruses. I have lupus and therefore a compromised immune system, so this is something I think about often, especially during flu season. Since I stopped working, I find that it's predictable: I go to town, I come home, I get sick a couple of days later. Exposure to all of those germy people, or touching things on shelves that other people have touched before me must be the cause. Ick. Which reminds me of my niece who is very averse to germs. An ardent hand washer, Purell user, master of never touching a door knob--she is our own precious Mr. Monk. When she was in nursing school, in class one day each student's hand was swabbed, to demonstrate the myriad strains of flora everyone carries around with them. Most of her classmates had counts in the triple digits. Leah had three lonely bacteria on her hand. When the flu comes around, Leah is usually the last woman standing.